Doing a Yatra seems to be the ‘IN’ thing these with major auto manufacturers sending their cars on a nation wide road trip. Tata Motors did it for the Nano to prove its robustness after the ‘spontaneous fire catching’ debacle, Toyota, in partnership with a media company did it for the Etios, Ford also recently sent a couple of Figos on a pan India journey. Now another manufacturer is trying some below-the-line marketing activities to increase its brand awareness. 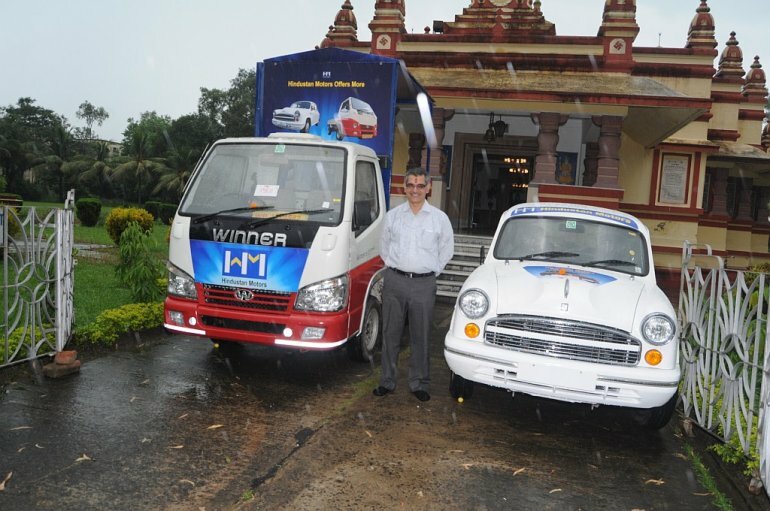 Hindustan Motors has sent an Ambassador and an LCV called Winner for road shows that shall cover West Bengal, Assam, Orissa and Bihar, signaling the imminent launch of new vehicles. The whole idea is to increase customer awareness about Hindustan Motors’ existing and forthcoming products. The road show anchors and Hindustan Motors managers will make use of quizzes, lucky dips and interesting games to interact with the customers and tell them about HM’s prospective products. Similar road shows will be launched soon in Tamil Nadu, Gujarat, Maharashtra, central and north India. Hindustan Motors is on the verge of launching two products - a pickup on the Amby platform and a sub-4 meter Amby. KOLKATA, July 15, 2011: The multi-billion-dollar CK Birla Group automobile major Hindustan Motors Ltd. today launched road shows that shall cover West Bengal, Assam, Orissa and Bihar, signaling the imminent launch of new vehicles. More road shows will be launched soon in Tamil Nadu, Gujarat, Maharashtra, central and north India. The road shows launched today from the country’s oldest car company’s Uttarpara plant in Hooghly will be showcasing different variants of the iconic Ambassador and HM’s relatively new product HM Winner 1.5 XD PLUS, a light commercial diesel vehicle, in the four eastern and north-eastern states during the next 15 days. The initiative is also aimed at increasing customer awareness about Hindustan Motors’ existing and forthcoming products. Lively road shows have been planned to target prospective buyers and general public. Show anchors and Hindustan Motors managers will make use of quizzes, lucky dips and interesting games to provide useful and also some hitherto unknown pieces of information about the company and its vehicles. The East-North East road shows will cover different locations in Durgapur, Asansol and Siliguri in West Bengal, and Guwahati in Assam. Locations in and around Bhubaneswar, Puri, Sambalpur and Bargarh will be covered in Orissa. Bihar shall witness HM road shows in Patna, Hazipur and nearby areas.